Stuart Bailie was chasing invoices when I called him in Belfast, facing up to one of the less glamorous facets of life as a freelance writer, yet part of the job he reckons takes up most of his time. And I know how that feels. But things are looking good for Stuart’s stock right now, with a fine example in his latest commission from Classic Rock magazine, when we spoke set to use an extract from a chapter about The Clash’s relationship with his home nation from the newly-published Trouble Songs. He was also expecting a review from Mojo magazine, one of many in the last few weeks for his rightly-acclaimed chronicle of ‘Music and Conflict in Northern Ireland’. And I can concur with that praise. At the time of our interview I was still 100 pages from the end, up to the section about Christy Moore, already assured of the value of a carefully-researched, highly-informed, entertaining and well-written tome. As he admits in his introduction, music might seem ‘slight and irrelevant against a death toll that has exceeded 3,700’, so ‘what’s the point of lyrics shouted hoarsely when the volume of bigotry and violence has been so deafening?’ And ‘what chance a protest song when the mainstream has been jammed with intolerance and bad faith?’ Yet he rightly suggests that ‘music has not been a passive voice’ and ‘has called for subversion and disobedience’, putting out ‘stories that have challenged the given histories’ and ‘imagined new fixes’, the finished work ‘inspired by lyrics that have given succour and a sense of collective worth’ while valuing ‘the reckless impulse and the rare clarity of youth’. There’s no airbrushing for convenience’s sake. Stuart also catalogues music ‘celebrating killings and endorsing sectarian acts’, in a country where ‘life is nuanced and morality often contested’. It’s a tightrope walk, yet he gets across, rising above the basic tale of a ‘centuries-old argument between the Irish and the British about territory and identity’, the 1921 partition and all that ultimately led to, in a land where ‘status is often influenced by religious upbringing’. The focus here is chiefly the devastating period between 1968 and the end of the 20th century, yet Trouble Songs doesn’t attempt to re-tell the political story in full. Instead, it uses the music ‘inspired, agitated or brutalised by the times’ as its narrative, resulting in a fresh perspective on the era and achieving its aim of being ‘hopefully a useful one’. And that it most certainly is. Within the pages, many of the luminaries of Northern Irish music in the last decades of the old century are interviewed or quoted, not least key members of Ash, Rudi, Stiff Little Fingers and The Undertones, plus the likes of Paul Brady, David Holmes, Terri Hooley, John Hume, Eamonn McCann, Gary Moore and Andy White, as well as outsiders like Dolores O’Riordan, Kevin Rowland and Cathal Smith, and key contributors to the peace process like Bono and Christy Moore. 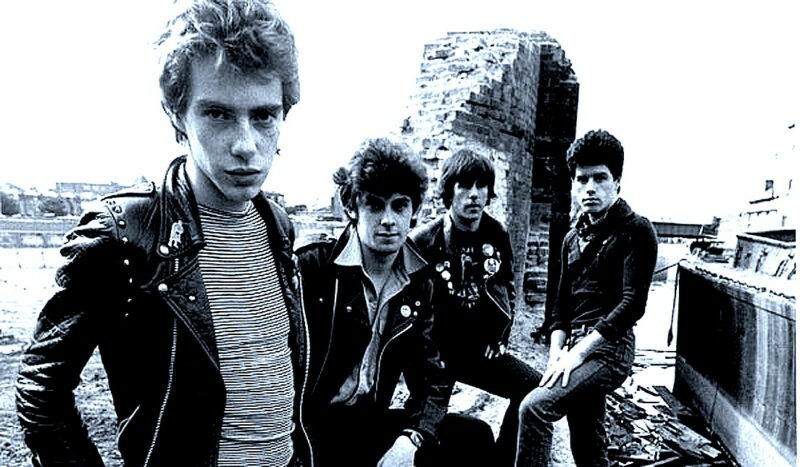 But we started out talking about The Clash, whose initial visit in late October ’77 proved such a catalyst for Northern Ireland’s punk scene. Not only that, but also as they’re the subject of a new book by yours truly (more of that shortly on this site) and were clearly a mighty influence on Stuart, who first witnessed them at the Ulster Hall in his home city a year after that fabled, first cancelled gig. But as I put to him, he doesn’t tend to talk about his personal experiences in Trouble Songs. “I could have put myself in it, but I was eight when the conflict started, and don’t remember much about that. And every now and then, with Christy Moore and that, you’re dealing with very heavy stuff, so I decided I was going to take a kind of back-seat and try not to judge things. With Northern Ireland, it’s like walking on eggshells anyway, so I was trying to empathise wherever possible, and let the reader come to their own conclusion, and I think that seems to have worked. My own route to an interest in all things Northern Ireland – this lad with no proven Celtic heritage, from a council house in the Home Counties of England – came via the music of the bands I loved but wasn’t necessarily sure why. I can’t recall for certain which struck me first, but two albums in the first half of 1979 made a big impression on me at some point that year. February’s Belfast punk statement, Inflammable Material, made me sit up and take notice of a very different landscape, glorying in the startling power of tracks like ‘Alternative Ulster’, ‘Suspect Device’, ‘Wasted Life’ and re-interpreted Bob Marley track ‘Johnny Was’. 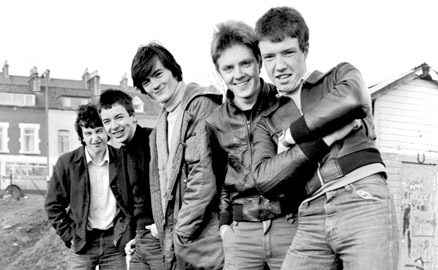 Meanwhile, May’s The Undertones made me realise there was plenty of common ground after all – here was a band writing about everyday things I could definitely associate with. It turned out it wasn’t all ‘Barbed Wire Love’ after all, however far Belfast and Derry were from my neck of the woods. True understanding of the settings only came later (I was only 11 when those albums came out), but I was intrigued from that point on, hungrily reading all I could within a few years, from my brother’s copy of Robert Kee’s Ireland: A History (accompanying the 1980/81 BBC/RTE TV series of the same name) through to various NME features and interviews with personnel from several Irish bands, my appreciation of the wider yet hugely-complicated political picture growing. And for me there was this intriguing double-standard – this was a place officially part of the UK, yet we couldn’t envisage in mainland Britain that level of rioting, bomb threats and no-go areas. And while I always abhorred mindless violence on all sides (I was still three weeks off my seventh birthday in October ’74, but heard the bombs that rocked my hometown, Guildford, from two miles away), I at least understood why key points like the crackdown on the Civil Rights movement would lead to people feeling a need to take more extreme paths. But how about Stuart, in the thick of it all across the water? ”When I was growing up, politics was a bit of a turn-off, with people howling and shouting at each other, especially in Northern Ireland politics. It was like a bear-cage. And then music comes along and you discover Bowie and all these other things and that’s sort of your tribe. “With The Clash, and with songs like ‘Career Opportunities’, you open your mind and they kind of urge you to think about your social context, and question, ‘Can you do that?’ And the answer’s ‘Yes, you can’. Stiff Little Fingers took that as a green light to sing about Northern Ireland. And to hear ‘Suspect Device’, ‘Wasted Life’, and then ‘Alternative Ulster’ was incredible, and changed my life to a degree. That’s one thing that comes over to me in this book more than any other underlying message – music really can overcome all barriers, especially where those turning up at a show might have been through hell just to get that far. And the moment they reached that venue they’d be among kindred spirits, irrespective of religion or specific geographical identity. In a sense, Trouble Songs is just as much about the celebration of a night out and how hard a small but determined group of people fought to have the kind of lifestyle we always took for granted over here in those dark days. 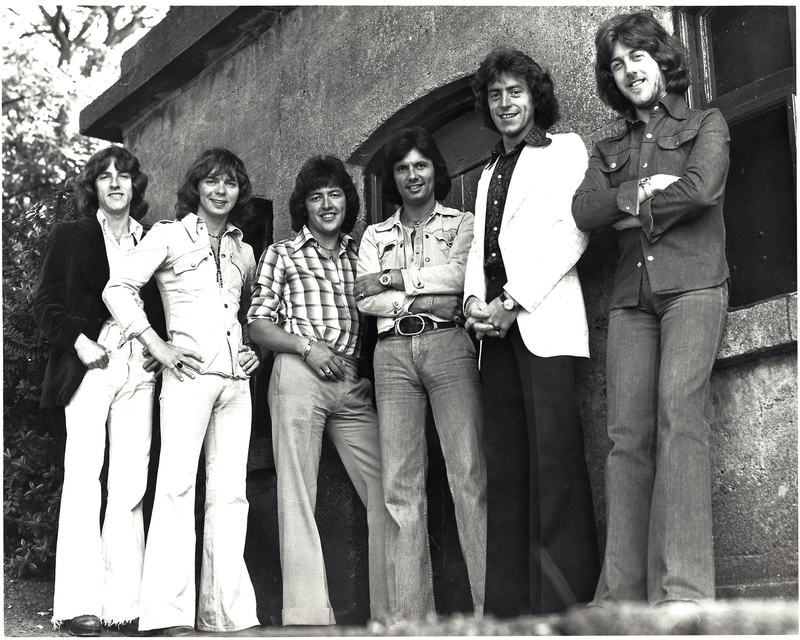 Never Forgotten: The last official photograph of the Miami Showband line-up caught up in the 1975 massacre, when Fran O’Toole, Tony Geraghty and Brian McCoy were murdered. In a sense, by at least following your dreams and forging that career path, moving away to London for a key period, you took yourself out of that bubble. Because sometimes we can get too close to the subject matter to truly get perspective. Possibly for the first time publicly. Praise to Stuart for drawing those stories out, and it’s the first-person recollections that make this work so well. There’s a poignant example where The Undertones’ Damian O’Neill, then 11, recalls watching The Big Match in October ’68 when shooting down the road from his family home in Derry led to mayhem that Bloody Sunday, his parents caught up in the aftermath. And there’s another in That Petrol Emotion and The Everlasting Yeah bandmate Raymond Gorman remembering marching that day with his father, ‘water-cannoned and chased off the bridge’, an experience he said has ‘informed everything that I’ve done’. Those are just two instances vividly putting you in the frame, and there are many more in Trouble Songs, with Raymond just one example of a lad from one religious background who happily mixed in opposing religious circles as a youth, something ultimately saving him from the kind of ‘entrenched views’ that affected so many on each side of that divide. Among the more shocking accounts are the chilling testimonies relating the death of three Miami Showband musicians shot at point-blank range in the early hours of July 31st, 1975. And then there are the detailed recollections of the tragedy that unfolded at Belfast’s Abercorn Bar in the mid-afternoon of March 4th, 1972, with two young women killed and 130 injuries. Again, those are just two harrowing examples. I can’t recall when I first became aware of Stuart’s writing, but he was certainly one of those whose work caught my eye during his NME days. What’s more, while researching this feature, I chanced upon a feature cut out from that very publication, headed Planet Ulster and written by Sean O’Hagan around the time of the mid-‘80s release of Alan Bleasdale’s No Surrender, in which both Stuart and The Undertones’ Mickey Bradley gave their spin on living in Northern Ireland at the time. Quoted as ‘Stuart Bailie, pop writer’, he revealed, ‘If you’re born Protestant, it’s drummed into you – the whole siege mentality thing is bred into you from birth. Like it was bred into your parents and their parents.’ He also mentioned a marked lack of a Belfast scene at that stage, for reasons that become very apparent to those reading Trouble Songs, and the sad fact that ’Everyone seems to have left for London’, leaving behind a ‘too intense and incestuous and very, very bitchy scene’. But at least for Stuart, an over-riding love of music and writing proved key in escaping that bubble and the tunnel vision of some of his neighbours, I suggested. “Well, yeah, myself like a lot of other people grew up in a segregated area, so you go to Protestant state schools and hang out with people from that area, and that’s the only reality you kind of know. My family had been in the military and had been very committed to what they saw as a loyal cause, but when you hear The Clash and stuff like that, it kind of … there’s that thing Greil Marcus says, that the essence of punk is two words – ‘question everything’, and all of a sudden you reviewed everything in your world and feel, ‘Hey, I’m not hung up on that stuff’. I’m glad he mentioned Terri there. 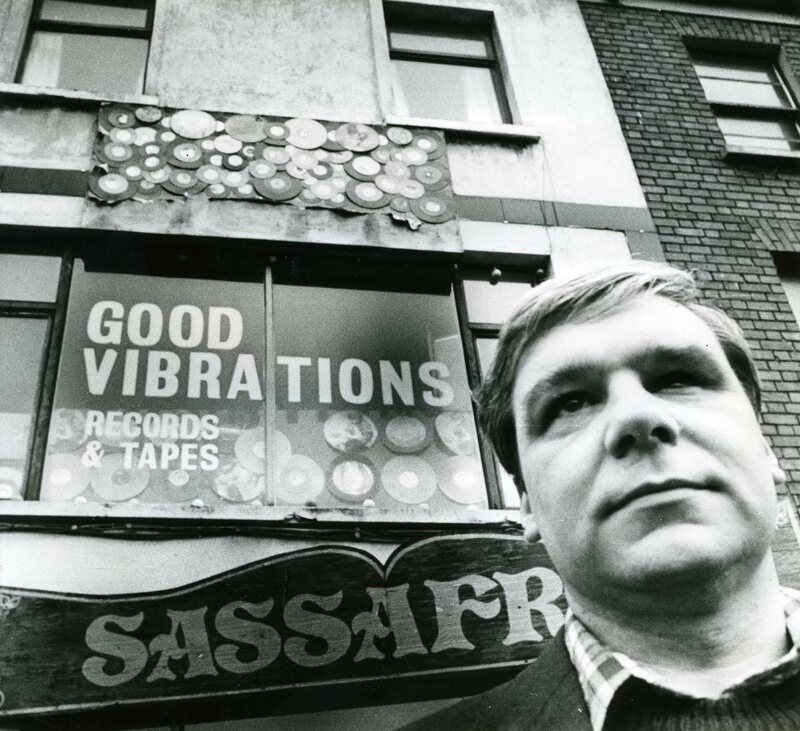 The Good Vibrations label and record shop boss and all-round maverick pioneer comes out of this as truly inspirational and one of the book’s heroes for me. A non-conformist in the widest sense, really. The way he let The Undertones sign to Sire with no personal gain seems to illustrate that. Meanwhile, another key player from that Protestant community who gets a fair share of space is Van Morrison, another who seemed to quickly understand that bigger picture. “Yeah, he was out touring German military bases when he was 16 or 17. He viewed himself as a child of the western popular world really, and moved to America very intentionally. But there’s a part of him that’s very East Belfast. There’s a gruffness and a belligerence that’s part of the character and what he’s about. But to the same extent, when he puts out a song like St Dominic’s Preview he’s kind of thinking about what’s going on at home. There’s a compassion there, and empathy as well. Was Van a hero to you growing up, or did you only truly understand his vision a little later? “No, I was a punk – you weren’t allowed to like Van Morrison! He was a hippy, he had flares and sideburns and he was considered part of the enemy. Also, the ‘60s generation that used to hang around were a bit bedraggled and their hearts were broken, having lived through very exciting times only to see it dashed. Anytime you met them they were just middle-aged men smoking joints, telling us the ‘60s were great. You kind of grew to resent that, almost. You can’t really tell me the good times have gone definitively. 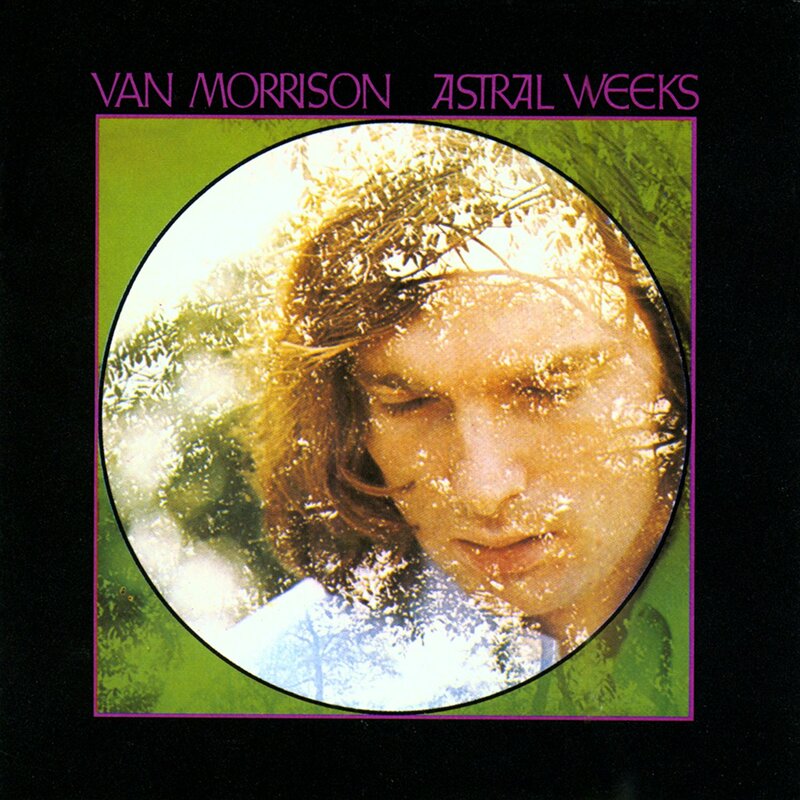 That was a bit of a leading question, as I knew Stuart named Van’s homecoming show on Cyprus Avenue in 2015 among his most treasured live moments (Rudi at the Harp Bar is also up there), with 1968’s phenomenal Astral Weeks his favourite-ever album. But you have to ask these questions. So, how old was he when he first saw The Clash? So you missed that first gig being cancelled and the subsequent Bedford Street punk riot? “Yes, although I remember one or two people at school were there. In my defence, it wasn’t part of your social life. You didn’t go to gigs. It was a scary time. It was a scary place and your parents were terrified. In lesser hands, the book’s contentious subject matter might have led to something of a backfire. 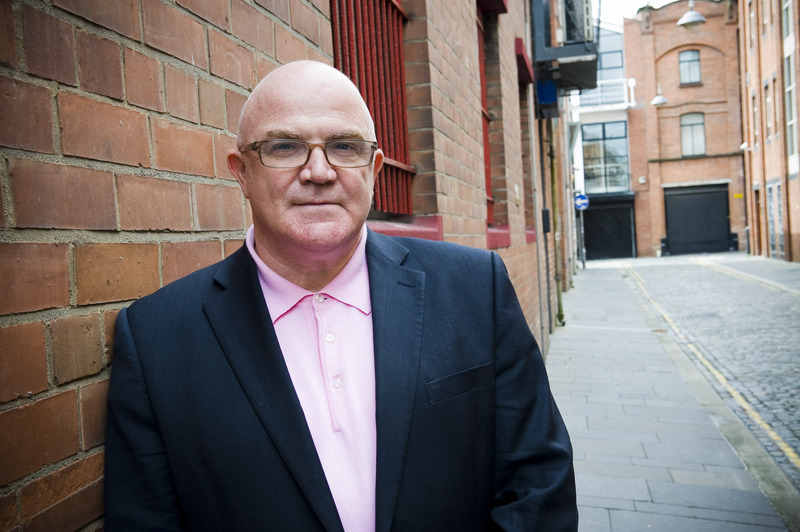 Yet Stuart – who’s previously written an authorised biography of Thin Lizzy, The Ballad of the Thin Man, TV and radio documentaries about U2, Elvis Costello and Glen Campbell, and helped set up the Oh Yeah Music Centre in his home city, which continues to thrive to this day, acting as its CEO from 2008/16 – cleverly negotiates his way through, Trouble Songs following So Hard to Beat, his BBC TV documentary on Northern Ireland’s music, and a long-running radio series on a similar subject for BBC Radio Ulster that preceded it. So which project did he envisage first? “So Hard to Beat was 2007, and just before that, starting in around 2005, I did this thing on Radio Ulster, choosing a record a week for 30 or 40 weeks, telling the story of Northern Ireland music week by week. That was the bare bones of the TV documentary. Every week was a story about a song. When it was finished there were no thoughts as to doing anything beyond that. “I was then working on the Oh Yeah Music Centre, and that was me completely for 10 years, it was like being hit by a truck, trying to renovate a huge whiskey warehouse amid overwhelming pressure, with 10 years away from writing TV and anything else really. You wrote a bit of it away on the Donegal coast, I gather. Sounds a nice part of the world. Talking of old press cuttings hanging around WriteWyattUK HQ, there’s another illuminating piece Andrew Tyler wrote for the NME, where he takes a trip to Derry with The Undertones’ John O’Neill as his guide. At one stage John mentions ‘struggling to express hard ideas through some new songs’ with a couple of ‘unknown friends’ he was set to move to London with. With those clues I’d say we’re talking 1984 (I foolishly cut off the dates at the top of the page), and I was lucky enough to witness first-hand That Petrol Emotion’s earliest shows on this side of the Irish Sea that following summer. And that would fit in with the time Stuart first came to London, wouldn’t it? So you bought a typewriter and made your move, yeah? For all the buzz of moving here, there must have been a realisation that you had to move away from your beloved homeland to ‘find yourself’ in the decade you stayed. But as it turns out, it set you up nicely. As it was, Stuart went on to write for not just the NME , where he was on the staff for eight years, but also Uncut, Q, Vox, The Times, The Irish Times, Hot Press, and the afore-mentioned Classic Rock and Mojo. But his way in was via Record Mirror. “Yeah, the NME knocked me back a few times. That broke my heart. But then I went to Record Mirror and was their review editor, and briefly worked at Warner Brothers and at WEA in the press office. And then the NME asked if I wanted to write for them, and it was like, ‘Yeah!’ That was ’88, along with James Brown, Swells, Andrew Collins, Stuart Maconie, Danny Kelly, Barbara Ellen, Mary Anne Hobbs … It was amazing. 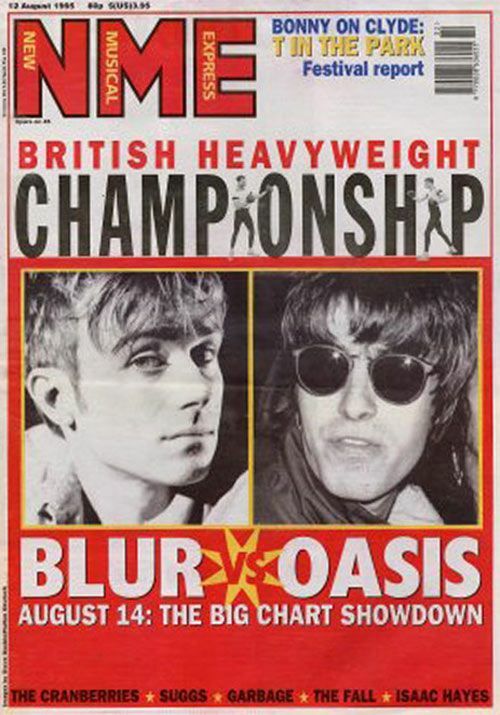 Boxing Clever: Stuart Bailie was held responsible by Noel Gallagher for the NME-led BritPop phenomenon. What’s this about Noel Gallagher holding you responsible for the term ‘BritPop’? Was that phrase’s adoption (in August 1995) down to you? “Err … yes and no. I’d been on a train journey to the Midlands with a load of people from Creation Records to see one of their signings, Heavy Stereo. At Creation Records, even people who weren’t taking drugs talked like they were taking drugs! It was two weeks before the clash of ‘Roll With It’ by Oasis and Country House’ by Blur. There was lots of screaming and yelling about, ‘We’re going to do this and we’re going to do this’, and on the way back it was, ‘We’re going to have ‘em, we’re going to take ‘em!’ I’m sitting in this train carriage with all these people, thinking, ‘This is a hell of a story’. I went to a meeting the next Tuesday and told them, ‘This is kicking off, this is incredible!’ And there was Steve Lamacq and a few other people, going, ‘Yep, yep, absolutely’. NME meetings were very exciting things. We’d just spark off each other. And how’s your relationship with U2 frontman Bono, who apparently once called you a ‘tough nordy ****’ but obviously gets on with you, seeing as he answered your queries for what turned out to be a rather illuminating Q&A in Trouble Songs. 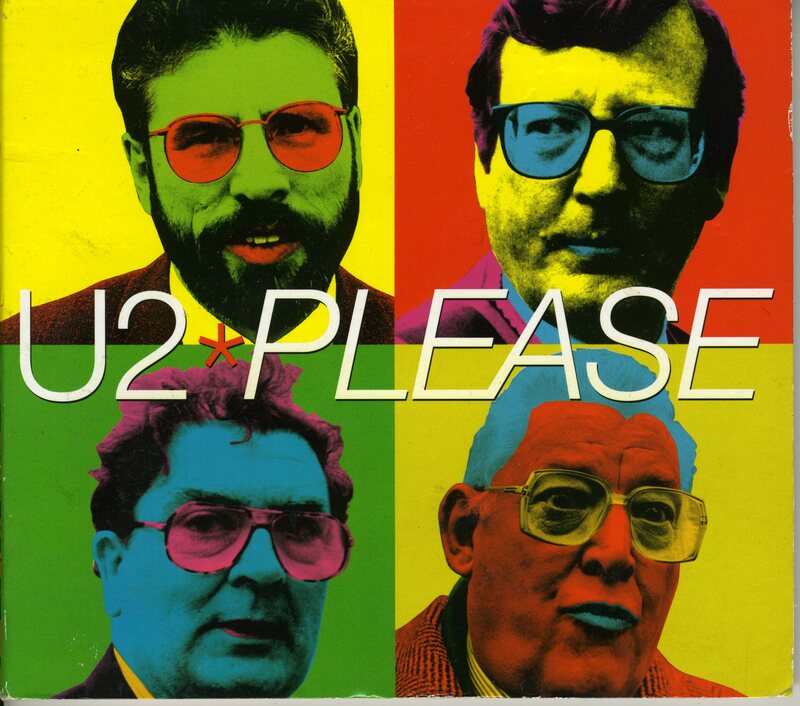 Actually, Bono has my sympathy a bit. It seems too easy to pick on him with his outsider views on Northern Ireland and various other world struggles over the years. He’s an easy target, but I’m thinking he must fundamentally be a good bloke beneath it all. And I gather that although Terri Hooley and you like a good argument – he recently suggested to Jenny Lee of The Irish Times they were ‘the George and Mildred of the Belfast music scene’ – you’re top mates these days. Even if he didn’t sign your band, Acme, back at the turn of the ’80s (Stuart plays bass, but sold his Fender to buy that typewriter). Ah, DJ-ing, like you did at Voodoo back in the day? “We play tunes … ‘DJ’ is a bit too professional a word for it! But he’s 70 this year and he’s still very contrary and totally anti-materialist. He scrapes by on pennies, he’s very funny, and he’s kind of oddly charismatic, and there’s going to be this Good Vibrations musical in the summer, so I think we’re all gonna be holding our breath. But it was great that he got a victory lap with the film, because he had been sort of ignored for a few years. 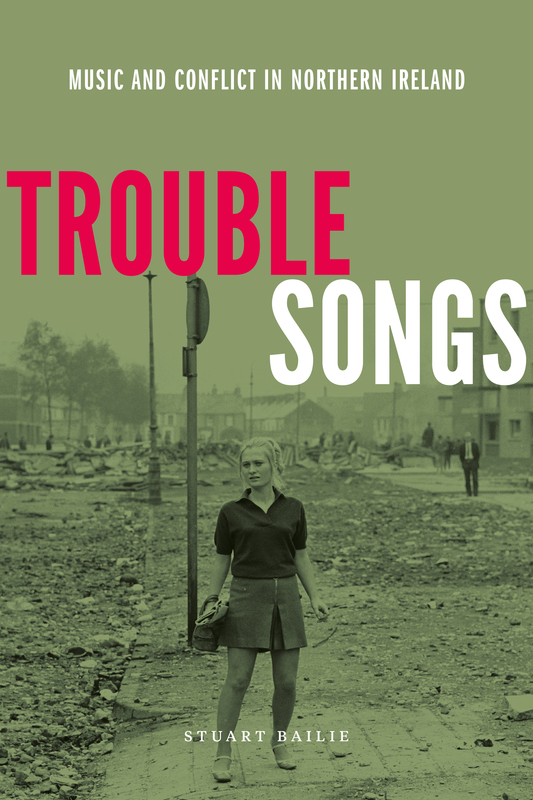 Talking Troubles: Stuart Bailie, the author of the mighty Trouble Songs. This entry was posted in Books Films, TV & Radio, Music and tagged Ash, Belfast, Bloody Sunday, Bono, BritPop, Christy Moore, Derry, Donegal, Dr Feelgood, Good Vibrations, London, Miami Showband, NME, Northern Ireland, Oh yeah Music Centre, Robert Kee, Rudi, So Hard to Beat, Stiff Little Fingers, Stuart Bailie, Terri Hooley, The Clash, The Undertones, Thin Lizzy, Trouble Songs, U2, Van Morrison. Bookmark the permalink.